Black people are discovering that they’re conservatives. Impassioned anti-lib thought leaders like Brandon Straka, founder of the #WalkAwayCampaign, and Candace Owens, the Turning Point USA media star who recently announced the BLEXIT/exit of black voters from the Democrat party, are leading the stampede of lifelong lefties to the right side. Turning Point USA, led by Charlie Kirk and Owens, in only six years has surged to nearly two million Facebook followers and has established over 300 activist chapters on college campuses across the country. This is big. Their followers have become millions who watch the YouTube channels of the movement’s movers and follow them on Facebook, Twitter, and Instagram. Candace Owens’ YouTube channel alone has over 260,000 subscribers and the #WalkAwayCampaign has 209,000 Facebook followers at the time of writing. 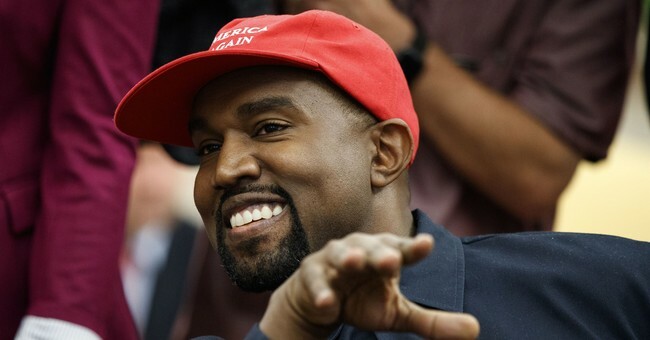 And it doesn’t hurt that Kanye West has declared to the world and his 28 million Twitter followers that he loves President Trump, whereupon he was promptly savaged by his bros, proving the intolerance of the left. The hilariously savvy Diamond and Silk, You Tube influencers David J. Harris Jr., Brandon Tatum, the Hodge Twins, and Anthony Brian Logan are also big movement voices with tens of thousands of followers. There’s something happening here that’s never happened in the decades since Democrat President Lyndon Johnson bragged that if he was able to convince the unwilling Democrats to pass the 1964 Civil Rights Act, “We’ll have those niggers voting Democrat for 200 years,” according to Ronald Kessler’s 1995 book, Inside the White House. But now these “woke” black activists know that’s what he said. They know the KKK that terrorized and hanged blacks was the brutish, militant arm of the Democrat Party, not the Republicans. They know that the sheriffs who turned fire hoses on civil rights demonstrators and tried to stop little black girls from going to school with whites were racist Democrats. At least for the next 54 years Lyndon Johnson was right – since the 60’s blacks have reliability voted for Democrats by 85 percent to 95 percent. But now the numbers are changing. Donald Trump’s popularity among black voters has roared to five times what it was on Election Day 2016, according to a Rasmussen report released on 10/29. While Trump only scored 8 percent of black voters in the election two years ago, now 40 percent of black voters approve of his job performance. And the trajectory has been nothing but up. Last August, the Rasmussen poll had Trump at 36 percent approval, a huge leap from just 19 percent in August, 2017. On the weekend of October 27 two important events brought the most influential activists together in strength. President Trump invited 400 to the White House as part of the first Young Black Leadership Summit, hosted by Turning Point USA. Video footage shows the young people greeting the president by waving their red MAGA hats and cheering “USA USA USA!” Trump spoke to them for nearly an hour about the promise of their lives in this America that is great again. Many cried. On the same weekend, about 5,000 enthusiastic #walkawayMarch followers walked from the Democratic National Committee headquarters in Washington, D.C. to the Capitol. In his iconic viral YouTube speech “Why I am NO Longer a Liberal,” Brandon Straka of the #walkaway campaign called out the Democrats for their intolerance and their divisive racism of victimhood and identity politics that squash people’s dreams and ambitions. In advance of the 2020 elections, the national #walkaway leaders are finding activists who will start state “chapters” to further the cause. The first was #WalkAwayColorado which my friends Evelyn Zur, Jan Cook and I started in the summer. Meanwhile, Turning Point USA and BLEXIT have dozens of activist events scheduled for college campuses to spread the word and grow the movement. The Democrats are terrified of this bold rush to flee the plantation. You can tell by how the leftstream media, MSNBC, Al Sharpton and the like has collectively lost its tiny mind over the desertion of its loyal servants. They call Owens a “black white supremacist” and accuse Kanye West of actual insanity. Ha. Don’t they get that being racists themselves is only going to drive more loyal black voters to conservatism? It’s been estimated by some media high foreheads that if the Dems lose just 10 to 15 percent of the black vote they’ll go the way of the Whig party. Which you’ll notice is not on your ballot. Riddle this: if Trump has 40 percent of the black vote as Rasmussen reports, if only half of those voters go Republican, the Dems can fold their tents, maybe permanently. Yep, permanently.